A Swedish pioneer in the field of Interpersonal Neurobiology and the founder of the Swedish Imago Relationship institute. As a couple’s therapist and mental trainer, she has more than 30 years of experience, of helping thousands of people to create happy relationships – both in their private life and in their businesses. Positive emotion is the marker for the salience that´s essential to trigger change in couples (and others) who are emotionally wired to expect conflict and disappointment. In this workshop you will experience an integrative dialogue: Crossing the bridge. Helping couples experience profound moments of emotional connection whish actually begins to rewire their brains to expect and attract more such positive experiences from each other. Integrative communication is the key for good business, happy relationships and health. 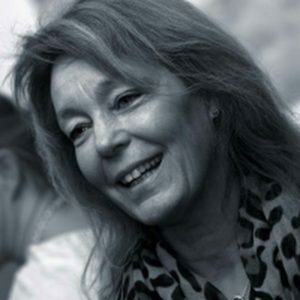 Eva Berlander has long devoted herself to examining how relationships -with others, oneself and the larger world-continue to shape the brain throughout the life cycle. Her influential books include: You Can Make it Happen – How Breakthroughs Can Transform Relationships and You’re Tearing Us Apart – Twenty Ways We Wreck Our Relationships and Strategies to Repair them, which explores how individuals, couples and therapists can cultivate mindful presence in communication to help heal and thrive.